DBHIDS | Joan L. Erney, J.D. Joan Erney is currently the CEO of Community Behavioral Health – a not for profit organization created to administer the behavioral health benefit for over 470,000 individuals with Medicaid on behalf of the City of Philadelphia. This innovative program marries traditional managed care expertise with community behavioral health and other human services systems to provide an integrated and comprehensive approach to serving the unique and diverse populations in Philadelphia. Prior to her work in Philadelphia, Erney was the Director for the Office of Planning, Policy and Innovation at SAMHSA, worked for several years with Community Care, as their policy and business development director, and was the former Deputy Secretary for the Office of Mental Health and Substance Abuse Services during the Rendell Administration for over seven years. During her tenure at the state she is most proud of supporting the development of Certified Peer Specialists in the state Medicaid program, expanding the behavioral health Health Choices program statewide; launching a major permanent supportive housing initiative; jointly initiating a criminal justice partnership with PCCD, and closing three state hospitals. 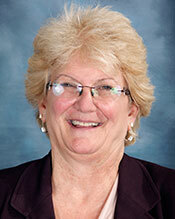 Joan has over 25 years of experience in the behavioral health field. She is a graduate of Penn State University, and received her J.D. from the Widener School of Law. She is a passionate advocate for those who need services; and consistently pushes systems to develop innovative strategies to assist individuals in their journey toward recovery.